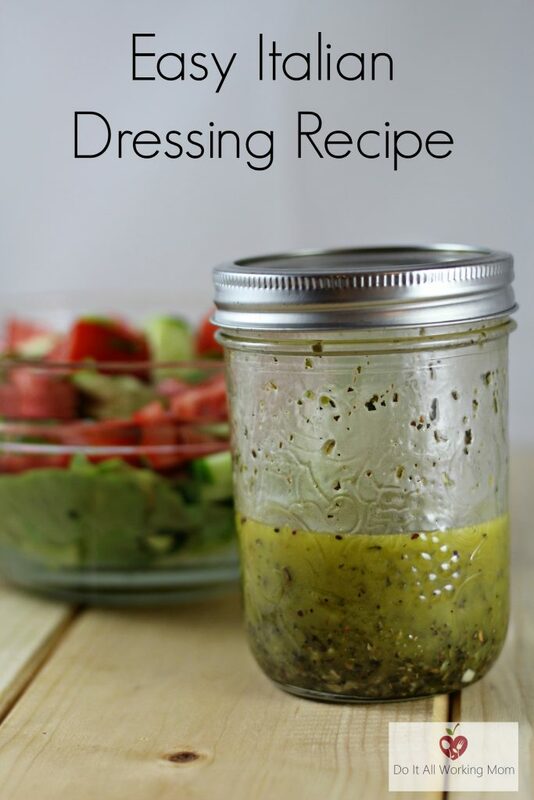 This Italian Dressing Recipe is really easy to prepare. If you have kids that love to help you in the kitchen, this is a great recipe they can prepare to help with dinner. 3 tablespoons of apple cider vinegar, red wine vinegar or white vinegar. Stir all the ingredients together and serve over lettuce and vegetables of your choice.